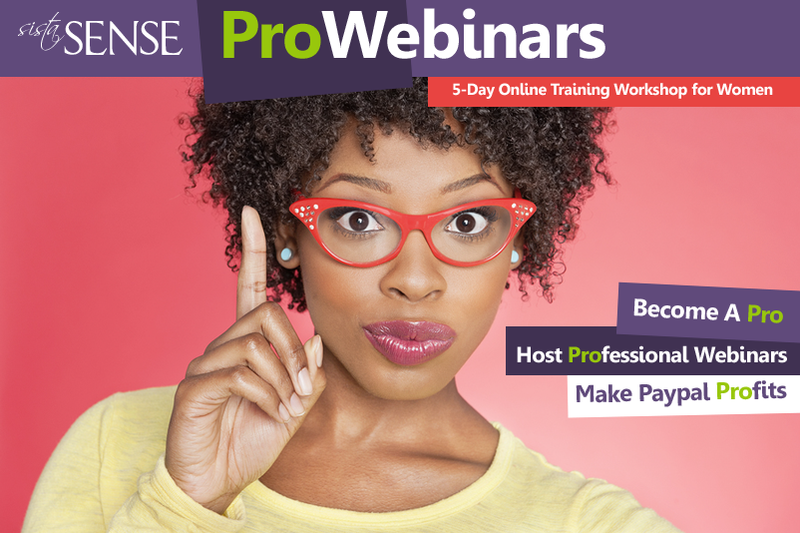 Are you looking for free online courses or training videos designed with women entrepreneurs in mind? Well, today I get to tell you all about my free Back to Business 5-Day Challenge, which includes 5 amazing webinars for women entrepreneurs in need of motivation combined with smart online business building solutions. These training videos are presented by myself LaShanda Henry and my fabulous power circle experts Kim Coles, Rosetta Thurman, Lucinda Cross and Tiffany Aliche. My goal is to help you with your success goals, online business strategies, and marketing techniques. Each day, for 5 days I will send you a webinar that challenges you to get focused and fired up in your web business right now. On the first day, I LaShanda Henry aka SistaSense, challenge you to Find Customers Online. Inside this webinar training, I will share 5 quick and not-so-dirty ways to promote your business online, especially for those entrepreneurs who hate to promote themselves. And as an added treat on the first day, tv personality, and motivational speaker, Kim Coles challenges you to Follow Your Own Personal GPS System. Get focused and fired up as Kim shares 5 Ways to Follow Your Own Personal GPS System Towards a Life (and Biz) Filled with Gratitude, Passion, and Success. Power circle expert Rosetta Thurman challenges you to build a location-independent startup by sharing 5 Steps to a Profitable Online Business where you can Travel and Work from Anywhere in the World. Power circle expert Lucinda Cross challenges you to Activate Your Vision and discover the right steps to really actualize your success. Power circle expert Tiffany Aliche aka the Budgetnista challenges you to Live Richer by implementing a few really simple, super helpful ways to boost your financial fitness and get your bank account back on track. For our last day, I LaShanda Henry aka SistaSense, challenge you to Fire Up Your Social Media Marketing Campaigns. Discover 5 smart ways to use social media to boost traffic and sales on your website. Plus there are a few bonus surprises that you will get too! But I won't spoil it for you. Follow this link and start the free Back to Business Challenge for today's woman in business. If you have started the challenge, leave a comment below and let me know what you think about it and what you learned! Also feel free to share this online learning series with your fellow entrepreneur friends. My big goal is to help 100,000 women entrepreneurs get focused and fired up this year.